Evangelos Odysseas Papathanassiou, better known to us all as Vangelis, is one of the modern giants and masters of electronic, progressive rock, classical and new age. Perhaps best known for his soundtrack work such as the Academy Award winning Chariots of Fire and the equally revered scores to Blade Runner, 1492: Conquest of Paradise and Alexander, Vangelis’ beautiful and mesmerizing themes provide an aural palette that genuinely enhances many of the most significant movies of the last three decades. His electronic genius is allied to a popular music template that values melody and harmony and gives full flight to some of the most ambitious and absorbing keyboards work on the planet. Always able to parlay his talent into the commercial arena it goes without saying that Vangelis has sold millions of albums across the globe and he has also topped the charts with the Chariots… single, “Titles”. So ingrained in the consciousness is that piece – it must be one of the most famous themes around, it was also used to sound bed the London 2012 Olympic Games winners medal ceremony, that easy decision effectively re-introducing Vangelis to a whole new audience; a younger fan base emerged overnight, eager to know who was behind this brainworm. A titan in the electronic field Vangelis has released more than 50 albums in a career spanning the period from the 1960s when he was in bands in his native Greece to the present day. He is always in demand. Many of his scores remain perennial best sellers and feature in the American Film Institute’s list of greatest scores of all time. Here is a modernist with a traditionalist approach, who has won so many awards and honours it might take a separate article to name them all. When one realises he has even had a minor planet – 6354 Vangelis - named after him and received numerous honourary doctorates it becomes clear that this fellow has done more than anyone to promote the Hellenic cultural world via modern art forms. If and when people visit us from another place it’s highly likely that Vangelis will be one of the first human beings on their radar. Born in Volos, Greece in 1943 Vangelis was a self-taught prodigy who avoided most formal piano lessons. Apparently a gifted painter as a child his schooling was based on a formidable memory that enabled him to learn by intuition rather than by rote. In the ‘60s he was part of the popular groups The Forminux and Aphrodite’s Child who hit big with “Rain and Tears” and the double album 666. That latter collaboration featured Demis Roussos who would go on to provide vocals to the Blade Runner soundtrack. A significant figure during turbulent times in Greece Vangelis began his score work in 1970 and then released his first proper solo disc – Earth – in 1973. Kindred spirits in the world of progressive rock like Yes and the Moody Blues were knocked out by his keyboard skills and he would form a productive partnership with Yes vocalist Jon Anderson in the duo Jon & Vangelis, a move that brought him recognition in a wider sphere again. After moving to London Vangelis’ distinctive electronic album work took off; work flooded in and his music was used in Peter Weir’s epic movie The Year of Living Dangerously. We pick him up with Chariots of Fire (1981) where he plays all instruments and is backed by The Ambrosia Choir under John McCarthy’s direction on the track “Jerusalem”. The main theme inevitably conjures up the mental image of the athletes running on the beach in slow motion and is one of the most hummed soundtrack items in memory. The parent disc sold over 3 million copies and topped the Billboard Top 200 in 1982. Director Hugh Hudson recognized Vangelis’ power after hearing his work for Opera Sauvage and China, both of which are totally recommended, as is his collaboration with Irene Papas for the Odes disc (1979). By way of contrast it’s well worth seeking out See You Later, where he records with Anderson, Peter Marsh and even the Warhol starlet Cherry Vanilla. Antarctica (1983), soundtrack to a Japanese movie of that name, was a rarity for years but is now available and perfectly complements the film’s ice cold narrative. The more classically inclined trilogy of Soil Festivities, Mask and Invisible Connections have a darker, more ethnic scope but all featured on the charts and displayed an experimental side of the man that he would return to in the 1990’s, albeit with a New Age bent. For those who wish to play catch-up and sample a collection of well-known pieces we point you towards Themes, aptly named and indispensable really since it features choice excerpts from Blade Runner, The Bounty and Missing. Oddly enough the actual soundtrack to Blade Runner was delayed for a decade despite the clamour from fans to make it available. Fortunately that was rectified in 1994 and many consider this evocative score to be Vangelis’ masterpiece. Classic examples of contemporary atmospheric/ambience cuts here include “Deckard and Roy’s Duel”, “Mechanical Dolls” and “Blade Runner Blues”. Look for this in the 25th Anniversary Trilogy (2007). This is such a cult artifact that the soundtrack itself has newsgroups dedicated to its exploration. For another perspective on Vangelis in solo and collaborative mode we urge you to try Portraits (So Long Ago, So Clear). Here is some of the man’s most renowned work like “Ill Find My Way Home: and “State of Independence”. Many don’t realise that latter song to be from the pens of Vangelis and Anderson until they read the small print on Donna Summer’s epic version, produced by Quincy Jones. Chrissie Hynde, Andrea Corr and The Art of Noise (sample) have also covered what turns out to be a standard for the electro disco era. The Chronicles set provides a neat overview of the Jon & Vangelis duo circa 1979-1983. For those who seek to dig even deeper there is another true gem that we recommend here. Odyssey – The Definitive Collection (2003) cherry picks some wildly eclectic music, ranging from the early “Pulsar” and “The Tao of Love” to “Anthem – FIFA World Cup 2002” and an excerpt from the highly acclaimed Mythodea: Music for the NAS Mission: 2001 Mars Odyssey. Much of the music here is rare or previously unreleased and offers a thrilling overview of a magnificent talent. A deeply private and guarded individual who rarely grants the press entry into his world Vangelis explains himself best when he says, “Mythology, science and space exploration are subjects that have fascinated me since my early childhood. And they were always connected somehow with the music I write." What we do know is that this artist has done more than many to take the synthesizer into new territory and yet he has never lost touch with his Greek folk roots. A master of the synth vibrato and a particular proponent of the Yamaha CS-80 polyphonic model he is also a tape effect wizard but naturally keeps many of his trade secrets close to his chest. No matter: the music is what counts and Vangelis makes it count every time he enters a studio. Vangelis' electronic score for a film set in 1930s Britain seemed an odd match at first, but the title theme, with its echoing, manipulated rhythm box and melodic hook, became one of the most popular theme songs of the early '80s. Just hearing the opening 30 seconds conjures up -- for those who have seen the film -- shots of men running on the beach in slow motion, and has been borrowed, adapted, and ripped-off ever since. Suffice it to say that the other six tracks here can't quite match the punch (if that's the word for something so fey) of the title theme. Much of the rest is very sappy, if often melodic, proto-smooth jazz with a burnish of electronic screeches, washes, and fuzzy fake strings. If it works for the insular "Five Circles," it doesn't for "100 Metres," which so desperately wants to be Elgar's "Pomp and Circumstance" but can't quite get there with its watery synths -- suddenly you realize what a full orchestral arrangement could have added. Side two is a side-long "suite" of the themes on side one, created, one feels, to fill up space. 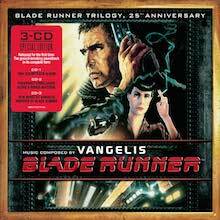 Vangelis went on to snag more soundtrack work, notably Blade Runner. Mask is an e-music symphony in six movements. Vangelis is near his best on this album. He takes the best from his many different e-music personas and creates huge walls of dramatic and hypnotic sound. Vangelis combines symphonic synths, atmospheres, Berlin school sequences, choral chants, and sweet melodies in this soundscape. The mood shifts from bombastic to triumphant to mysterious to challenging and back and forth and in and out. The atmospheres weave through and around the soundscape, never losing the drama. Deep listeners will be on the edges of their seats. This great CD is like a soundtrack with no film. This warm, lyrical album was derived from Vangelis's music for a French television series. Rich, electronic orchestrations range from grandly symphonic to simple and serene. Curiously enough, this title has experienced a major revival since the opening cut, "Hymne" was used for a Gallo Wine commercial. This 1979 release is an excellent introduction to his music. 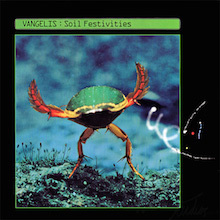 Soil Festivities dates from 1984, before Vangelis was working with orchestras. Some would say that it was before he "sold out" or when he was a "real musician," but those opinions are totally subjective. It is certain that this is a different kind of CD. The album features five movements, each a self-contained soundscape. Vangelis surrounds a subtle drone with heavy sequences and dense atmospheres. He uses a symphonic synth to create pastoral textures. This is a very accessible CD. It will appeal to fans of Constance Demby, Wendy Carlos, Victor Cerullo, and Yanni. 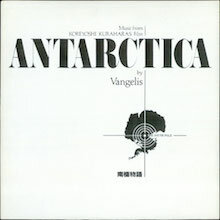 Vangelis uses ringing synthesizer textures and stately rhythms to evoke the majesty of China, in a similar fashion to another of his "geography" works, Antarctica. While a few tracks use acoustic piano and other organic instruments, the centerpieces "Chung Kuo," "The Dragon" and "Himalaya" use bracing percussion and synthesizer effects to emphasize the subjects (each reflected by its title). 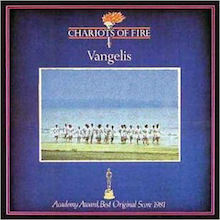 Vangelis composed, arranged produced and performed this staggeringly luscious album two years after he scored 'Chariots of Fire' for which he won an Oscar for Best Original Score. For this soundtrack album he conjures up a world of snow banks and freezing winds along with images of emporor penguins and polar bears and icebergs floating and dancing on the ocean surrounds. This album is the soundtrack to a little known Japanese film called "Antarctica" which came out in 1983. It's a pity cause I can't find any sign of the film on DVD anywhere. Anyway. Back to the CD which is a triumph of musical genius and magical soundscapes which he conjures up so majestically on his synthesizers. He opens up with the Theme which is 7 mins 29 secs of Vangelis craftmanship at work setting the theme for the entire album. The rest of the album doesn't disappoint either. My other favourites are 'Antarctic Echoes', 'Memory of Antarctica' and 'Life of Antarctica'. All fans of this man, and I'm sure there are plenty, will absolutely love this album and it's a real treat to hear it over the hi-fi. Just listening to it, the listener has images of snowy landscapes along with icebergs drifting along the edges and the wildlife hunting and searching for food in the water and on the surface of the deeply freezing plateaux. Terrific and stunning album. Odes features the most inspired collaboration imaginable. 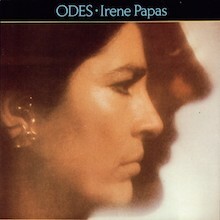 It is a collection of compositions by Vangelis with vocals by the great operatic singer Irene Papas. 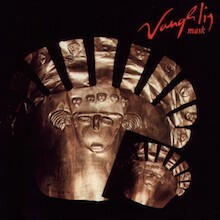 The vocals, in Greek, become an important instrument of Vangelis' sound design. He has a knack for knowing when to push the instrumental and when to allow Papas' vocals to dominate -- even to the point of some a cappella renderings. Papas is as sharp as ever; Vangelis is always right there. The atmospheres are strong and the soundscapes are dramatic and dynamic. This hard-to-get classic is essential. It is worth every effort to procure it. The only logical comparisons are Vas, Sheila Chandra, Lisa Gerrard, Natacha Atlas, and Yungchen Lhamo. Yeah, it just wouldn't be a "wild party" without the music of Vangelis. Actually, Frederic Rossif's film, La Fete Sauvage, is translated into English as "The Wilderness Party," but it still doesn't scream out electronic space music. To accommodate the new environment, the first part of Vangelis' score incorporates some animal screams of its own, along with African drums and chanting to create a semi-electronic melange. While there are moments that are pure Vangelis (the opening theme, some spooky synthesizers, and disembodied percussion at the end), the first half of La Fete Sauvage is generally an uneasy tug of war between electronics and percussion. (Of course, even Patrick Moraz had trouble juggling the two.) The second part of La Fete Sauvage is a much different story; beginning with a lullaby introduced earlier (albeit briefly), this is the surfeit of flush emotion and elegant melody that shows the composer in full, confident stride. Although it's lovely, it does sound suspiciously like "To Dream the Impossible Dream" (from Man of la Mancha) after a while. Thankfully, Vangelis leaves the original theme to explore other, occasionally darker, avenues. While the second part of La Fete Sauvage seems to exist independent of the film, it is the more satisfying of the musical halves and would have felt at home on any number of Vangelis albums from the '70s. The director Rossif, who had enlisted Vangelis' services earlier for L'Apocalypse des Animaux, likely knew what he was getting from the electronic composer, and thus got what he wanted. No doubt Vangelis' score added intensity to the film by underscoring the savagery of nature. 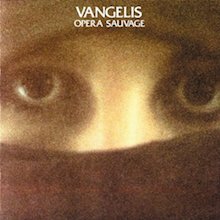 While the second half works well as stand-alone music and the first half provides an unusual (and thus interesting) setting for Vangelis, La Fete Sauvage isn't worth hunting down unless you're a Vangelis collector (and even then you may not be wild about the price, since this is available only as an import). Everything you thought you knew about Vangelis and his music is totaly distroyed by this record. Gone are the warm sentiments, and in their place is something gritty and negative. 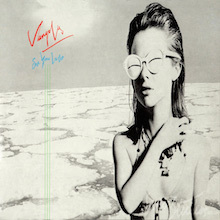 But this must be Vangelis's most personal work and it is one of my favorites. For starters all the lyrics are written by Vangelis himself (a first), none of John Andersons's slushy lyrics but he does appear on vocals on a couple of tracks. This album is to Vangelis what 'The Wall' is to Pink Floyd and he does a good job of getting his own personal feeling's out in the open. Multi-Track Suggestion seems to highlight what Vangelis believes as technology bloting out any sort of humanity the human race has left. Electronic teminology is used in his lyrics along with references of lost love. It seems that even though Vangelis acknowleges the use of technology in his music he belives that it will play a part in our downfall, a sort of 'Teminator' view of the future. I'm suprised this track wasn't a hit single in the U.K. because it would of gone well with the other synthpop tunes that were infiltrating the british charts at the time the album was released (1980) Suffication is inspired by a true-life event of a chemical leek at an Italian factory in the mid-seventies (yes!! I agree, very unlike Vangelis) the music is very upbeat, as are several of the other tracks, probably his most upbeat album since 'Albedo 0.39' and 'Spiral'. Vangelis seems to rely less on his usual selection of Orchestral sounds too with this work and there are some great sound effects and ambient noises added to the mix and is probably his most diverse work of the eighties until the realease of 'Direct'. 'I Can't take it any more' speaks for itself realy and the lyrics are performed through a vocoder that give them a sort of Kraftwerk 'robot' effect. This is a sinister track that would be used to great effect if played in the dark on halloween, spine-tingling. Everyone should know 'Memories of Green' beacause it was in the 'Bladerunner' movie that Vangelis scored. A moving piano piece that seems to tell a story of a lost time, of a lost way of life before modern times came along and spoiled everything. 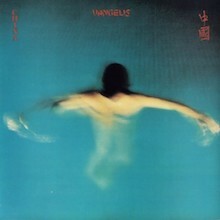 This album has some great musical ideas and effects, and stands as one of my favorits of Vangelis's because it shows a different side to the composer, very different and even though some of the lyrics are as confusing as a Nostradamus Quatrain (and some In foreign) they are totaly from his viewpoint. Subsequent equiry into the strange lyrics has opened my heart to this work even more. It's radicaly musicaly and lyricaly different to anything I've heard before. A gem.